I remember when Chambray became really popular around 2011-2012 and it was EVERYWHERE. I got a button-down chambray shirt from Anthropologie that I loved even though it was an investment at the time given my recent-grad-entry-level salary. But I still have that shirt until this day and I still wear it. Chambray is a fabric that truly never goes out of style, it’s a classic. Not only is it timeless, it’s seasonless, you can wear chambray year-round if styled right. When I was designing the new pieces for my spring collection of Magill I wanted to incorporate chambray but in a new and different way. I have enough chambray button-down shirts, what else can it be? I had already sewn up a chambray kimono (available for commission btw, if you’re interested) so I designed a simple and easy to wear blouse that is like the more sophisticated feminine sister to a tee shirt. 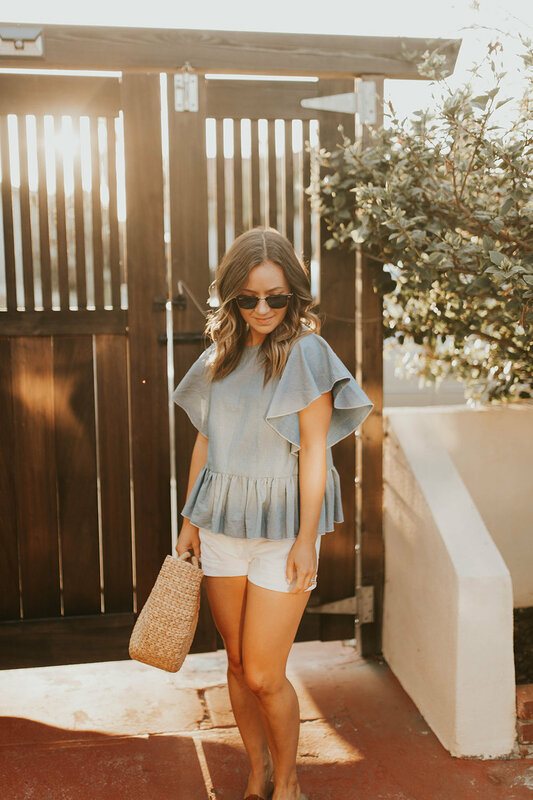 The Catherine Blouse is a loose-fitting, crew-neck top with a gathered peplum and flounce sleeves. My favorite elements of this shirt are the flounce sleeves that hit at the perfect spot on the arm to be flattering (ie. just covers the upper arm) and the relaxed shape with makes it so comfy to wear. While I personally love the soft blue color of the chambray, we also have this top in a white linen - perfect for hot summer days when you want more coverage than a tank but need breathability. Both the chambray version and the linen version of the Catherine Blouse are available for purchase now at www.magillclothing.com for $67! 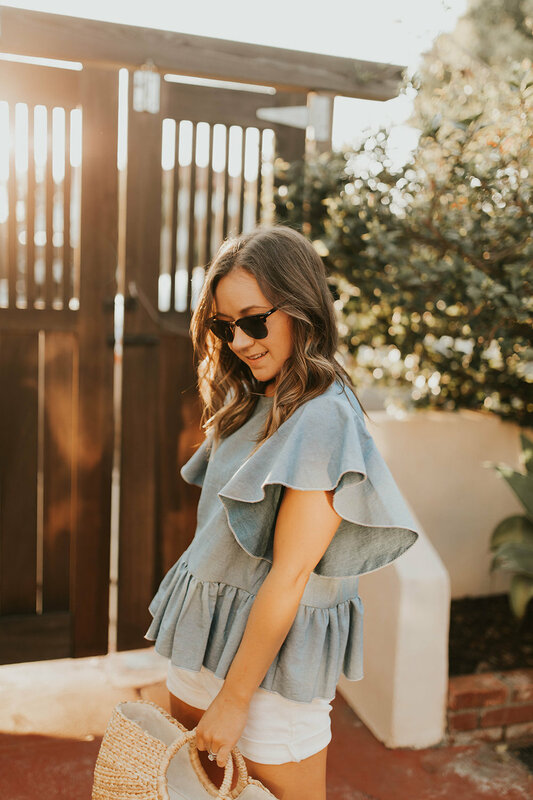 If you are looking for some new ways to wear chambray this season I’ve included some additional pieces below!